It’s shaping up to be a fun summer at the National Corvette Museum in Bowling Green, Kentucky. 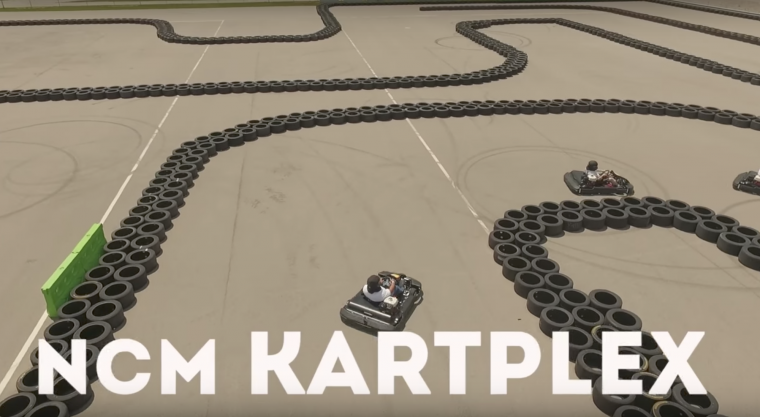 If you want to get some hot laps in at the Kartplex it will cost you $20 for an 8-minute session, though NCM also offers private sessions for endurance races, karting parties, or full kart-track rentals. The endurance race features a 20-minute practice with 60 minutes of non-stop competition, in which anywhere from 18 to 48 people split into teams of 4 or 5 drivers. Those participating in the endurance race will have to pay $50 per person, for a $1,000 minimum—a price which may seem a little steep, but includes bottled water, so hey! Karting parties are also priced at $50 per person, and include an 8-minute practice session, 8-minute qualifier, and an 8-minute race (and that bottled water!) Additionally, up to eight drivers can race at one time. Parties of more than 48 people should select the full kart-track rental, which is priced at $1,200. According to the park, there will be 48 people racing per hour, which breaks down to about $25 per hour for each participant. In order to get behind the wheel of one of these go-karts, you must be at least 5-feet tall, or hold a valid driver’s license if the height requirement is not met. The Kartplex is open Tuesday through Saturday from 1 pm to 7 pm, and 1 pm to 6 pm on Sundays.